One of Google’s self-driving cars hit a bus in Mountain View earlier this month, marking the first accident in which one of the company’s robotic vehicles appears to be have been at fault. While Google’s self-driving cars have been in various fender benders over the years, the accidents have until now always been the fault of other drivers or of the human drivers who occasionally take control of the Google cars, according to the company’s previous self-driving car reports. But in this incident, which took place on Valentine’s Day, the Google car hit the side of a public-transit bus — albeit very slowly. While approaching the intersection of El Camino Real and Castro Street in Mountain View, the car stopped to avoid some sandbags around a storm drain. When it tried to merge back into the left lane, it struck trouble. “After a few cars passed, the Google AV began to proceed back into the center of the lane to pass the sand bags,” reads a report by California’s DMV about the incident. A public transit bus was approaching from behind. The Google AV test driver saw the bus approaching in the left side mirror but believed the bus would stop or slow to allow the Google AV to continue. Approximately three seconds later, as the Google AV was reentering the center of the lane it made contact with the side of the bus. 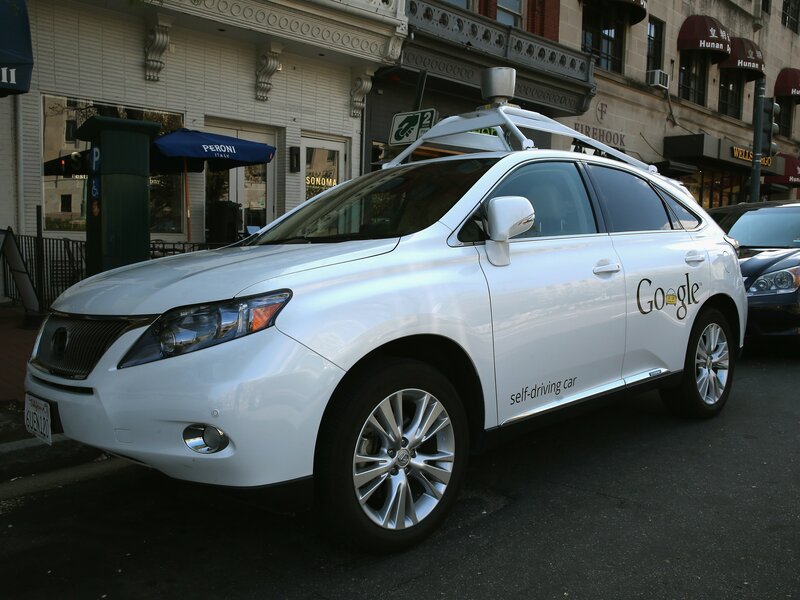 The Google car, a modified Lexus SUV, was traveling at less than 2 mph, and the bus was moving at about 15 mph. There were no injuries reported at the scene, although the Google car did damage its front left fender, wheel, and one of its sensors. Google’s self-driving cars are currently prototypes that the company is testing, and they are not available to the general public. A spokesperson with the Valley Transportation Authority says that there was only minor damage to the bus. I was curious should you ever considered changing the layout of your site? of text for just having one or 2 pictures. Maybe you could space it all out better? like to remark on some general things, The site style is ideal, the articles is really excellent : D.
figured out learning to make your website mobile friendly? My website looks weird when browsing from my iphone. I’m looking for a template or plugin that could possibly fix this problem. When you have any suggestions, please share. Way cool! Some extremely valid points! I appreciate you penning this article plus the remaining site is really good. truly its fault, but it was going only 2 miles an hour – Alba Consulting <Loved it! however I believed this post was previously good. I don’t recognise who you may be however definitely you will be going to a famous blogger in the event you usually are not already. site, that’s what this internet site is providing.